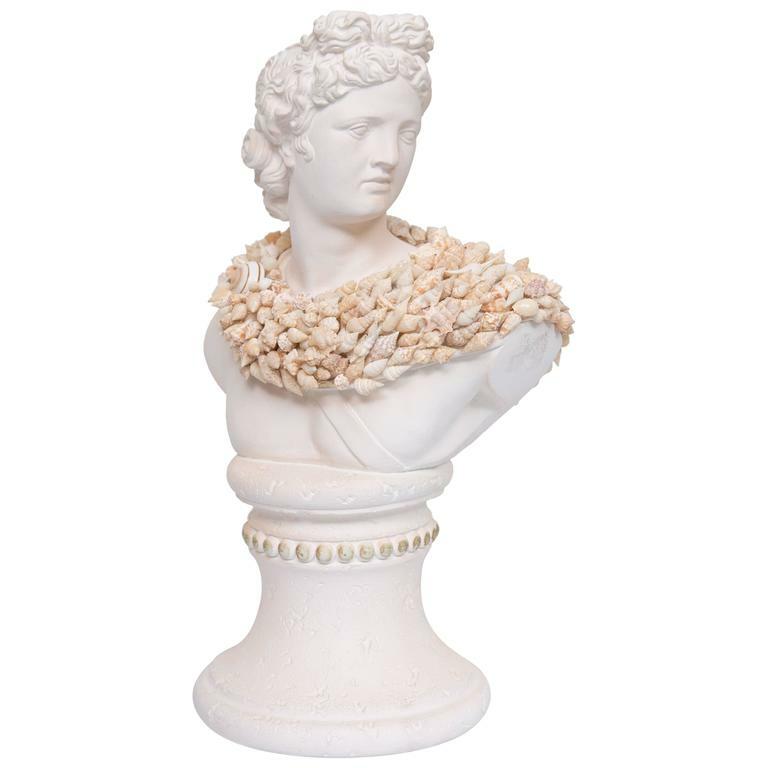 This composition bust of a classical figure has been enhanced by the modern application of shells, circa 21st century. 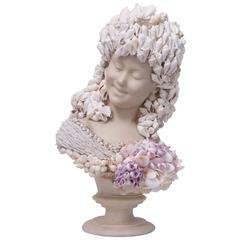 This composition bust of a demur young girl has been beautifully enhanced by a variety of shells creating a fanciful romantic image, circa 20th century. 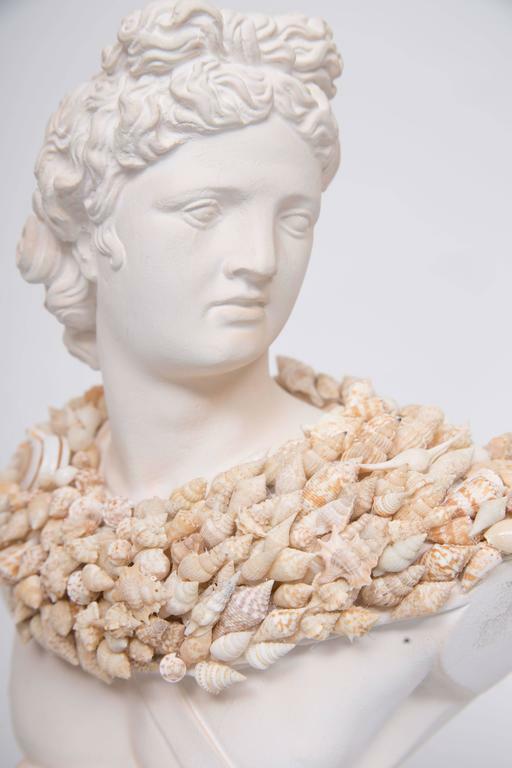 This grey composition bust has a classic, yet contemporary presence and is artistically enhanced by the application of a shell headdress, 20th century. 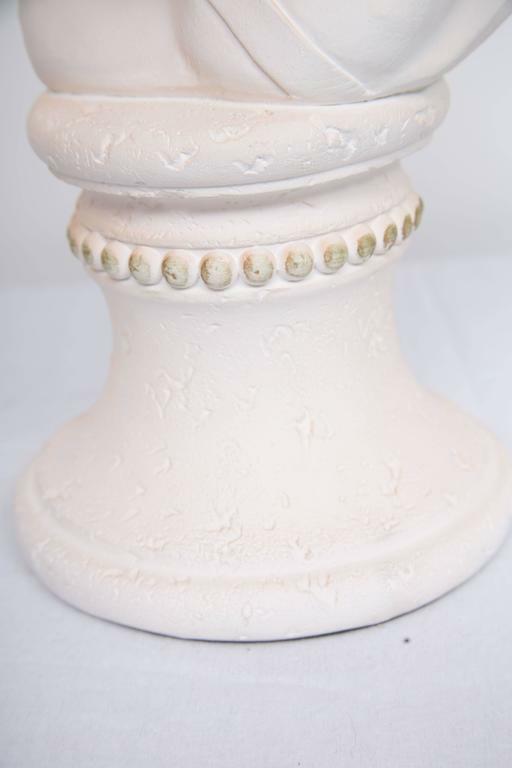 This lidded box is over-all encrusted with a variety of shells, 20th century. 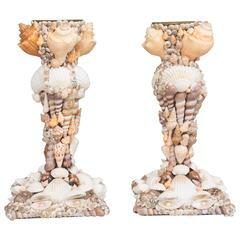 This well designed pair of candlesticks is artistically encrusted with a variety of sea shells. 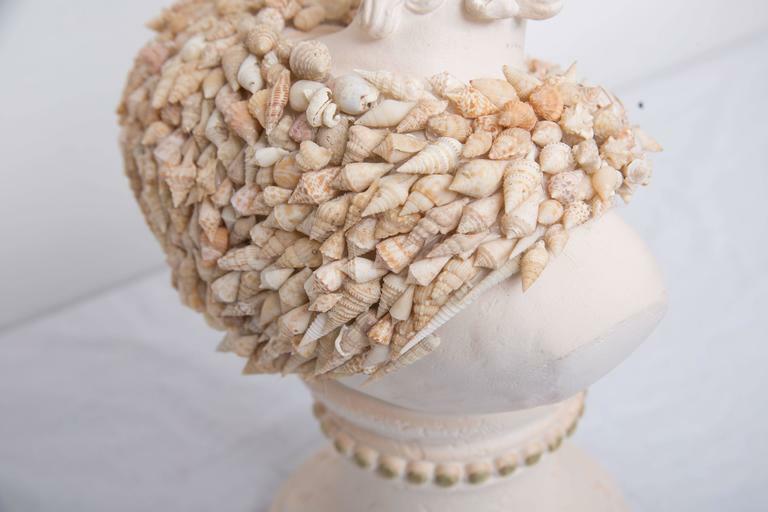 "Memory of a Beach Holiday": shells composition over an ancient wooden capital, bleached by the sun and the sea water. O/ 7894. Rich shells composition in an Italian terracotta 18th century ancient pot. O/4992. 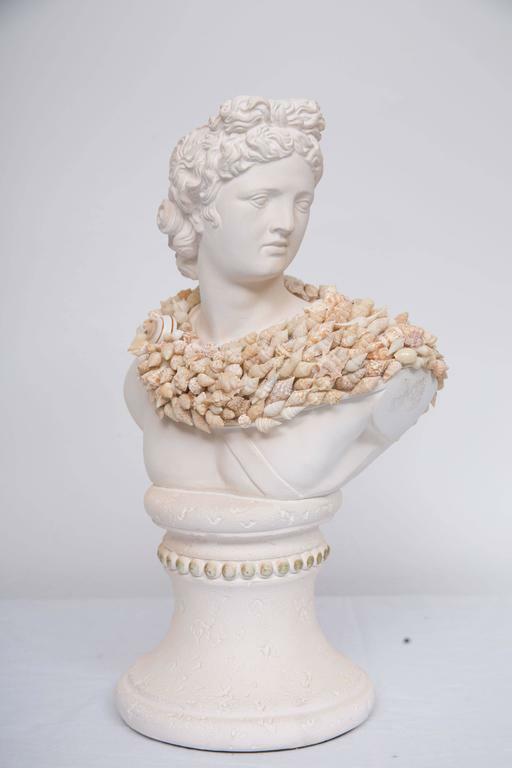 A quite rare pair of 19th century shell encrusted children. 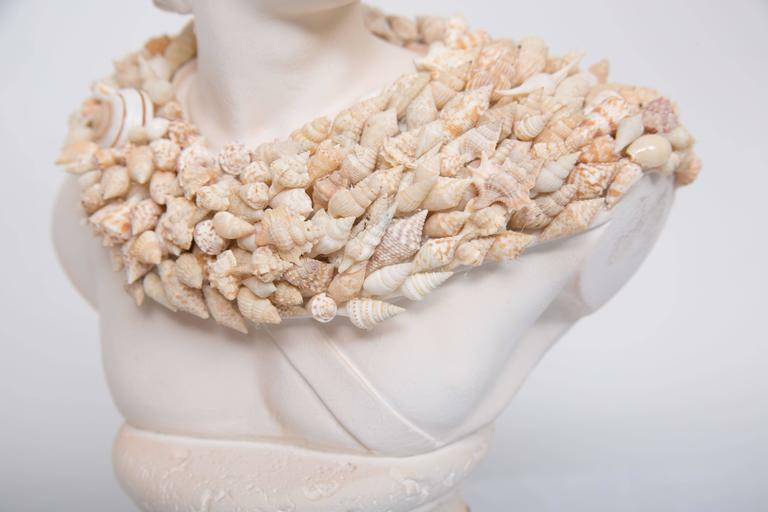 With great detail to the body composed of dozens of tiny shells, including mother of pearl. 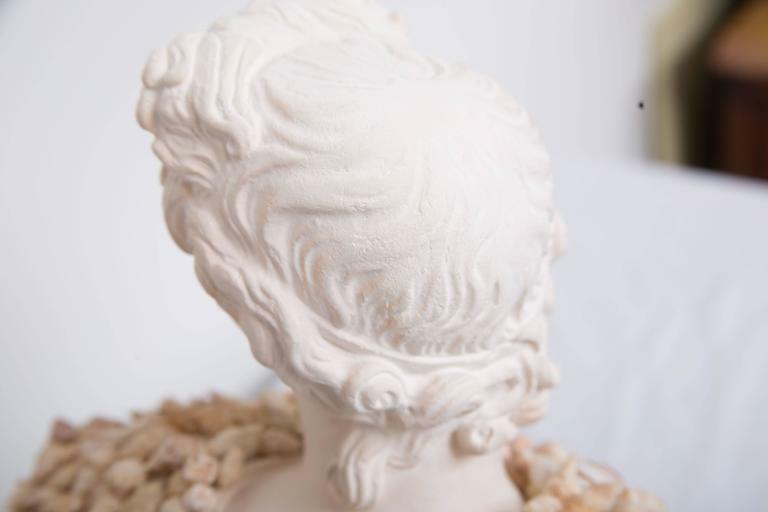 Plaster angel busts, perfect in the garden or as an architectural accent piece. Measures: 20" tall x 15" deep x 15" wide. Italian neoclassic style (19th-20th century) faux painted composition bust of a Roman Emperor wearing a red toga and mounted on a black square base.